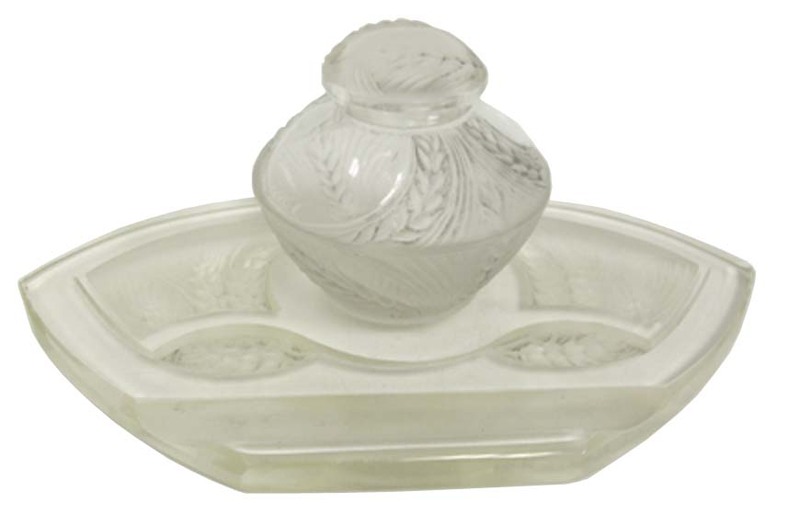 One colorless molded frosted and tinted glass ink stand set consisting of inkwell and pen tray with wheat sheaf decoration. The tray is 9 ½” long, the inkwell is 4 ½” high. The set is unsigned.